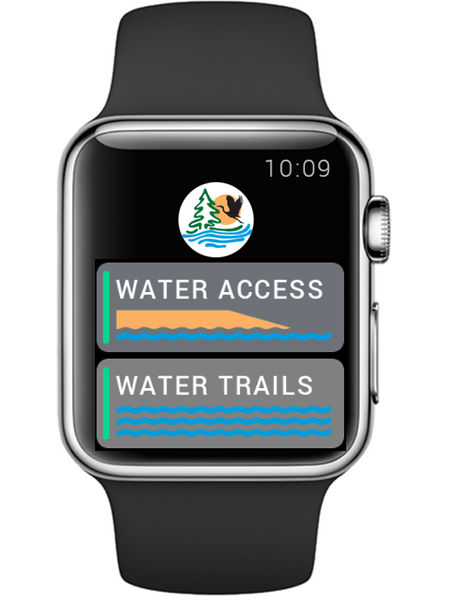 Water-enthusiasts can discover nearby waterways directly on their wrist with the Maryland Department of Natural Resources’ (DNR) new Apple Watch app, paired with the AccessDNR mobile app. This makes Maryland the first state to publish an Apple Watch app for government that uses geolocation functionality to locate water trails and access points. The app, developed by NIC Maryland, will help the state’s active community of boaters and anglers easily discover waterways and fishing holes, and identify their fish catches without having to rummage for a phone or paper map. Making use of the iPhone’s geolocation technology and the Apple Maps functionality, the app locates and provides directions to the top 10 closest water trails or access points. Icons also indicate whether the site has a boat ramp or a soft launch. The AccessDNR mobile app for iPhone was first introduced in December 2013, and the Android version followed a few months later. Currently, more than 22,000 people are using the AccessDNR mobile app, which provides all the information and services outdoor enthusiasts need on the go, including: location-based maps and directions to state recreation sites; state park activities and amenities; hunting, fishing and boating regulation guides; game harvest reporting; Trophy Case photo sharing through social media; sunrise/sunset and tide updates; a fish/shellfish identifier; and breaking DNR news and alerts. About half of the DNR’s online visitors use mobile devices, so expanding the app to Apple Watch just made sense. The AccessDNR mobile app can be downloaded from the Apple App Store or online at http://dnr2.maryland.gov/Pages/dnrapp.aspx. Future enhancements to the Apple Watch app include the addition of land trails and more water trails, as well as push notifications for DNR alerts. An Android Wear app is also being developed that will include the same features. The AccessDNR mobile and Apple Watch apps were developed at no charge for DNR by NIC Maryland, through the self-funded eGovernment services contract with the State Department of Information Technology (DoIT). NIC Maryland builds, operates, maintains and markets the official website of the state of Maryland, www.maryland.gov and its eGovernment services. NIC Maryland is a collaborative public/private partnership managed by the DoIT and NIC Maryland. NIC Maryland helps Maryland state and local government entities web-enable their services and operates without tax funds through a Self-funded eGovernment Services contract. NIC Maryland has developed more than 50 eGov services for the state of Maryland since the contract was awarded in August 2011.